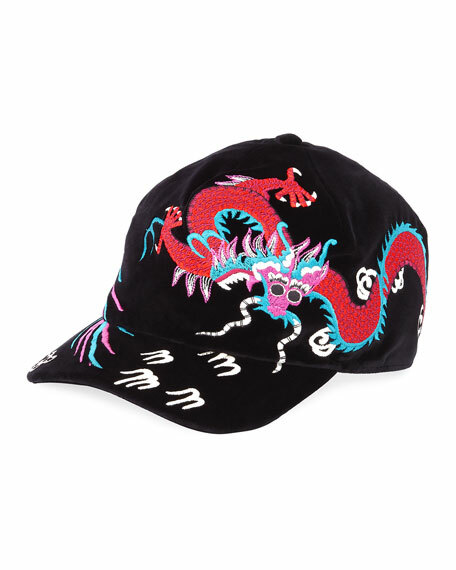 A baseball cap in plush velvet embroidered with a dragona powerful image that inspired Gucci's Creative Director. Blue velvet with dragon embroidery. For in-store inquiries, use sku #2221167.